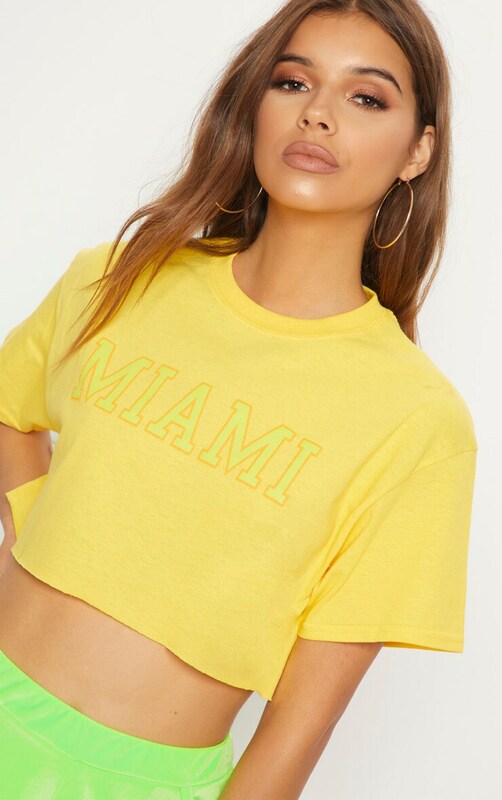 Slogan tee's are at the top of our hitlist girl. 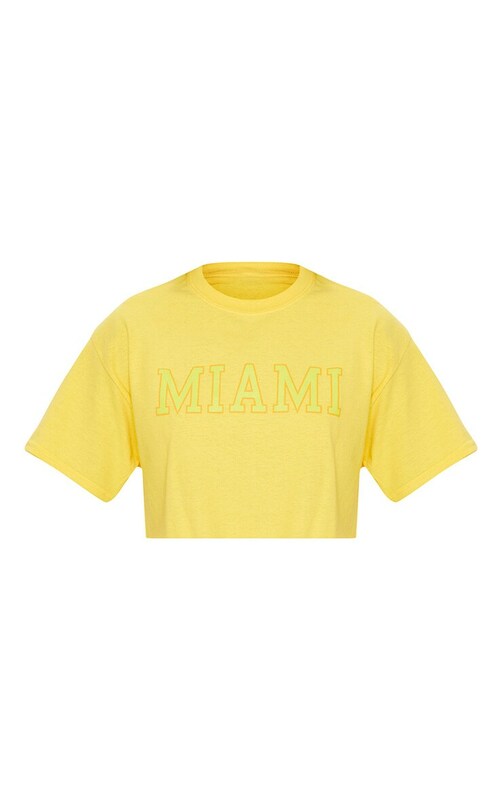 Featuring a yellow material with a 'Miami' slogan and a cropped length. 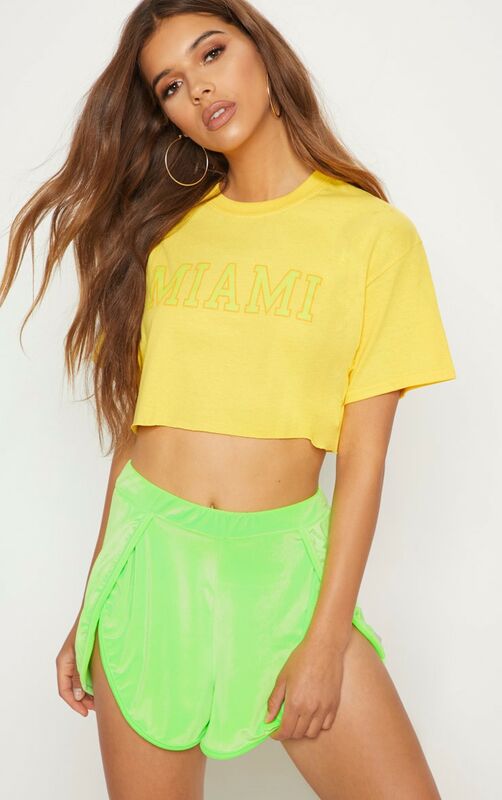 Be sure to be noticed and style this tee with a pair of neon shorts and fresh kicks for an off-duty look we are loving.